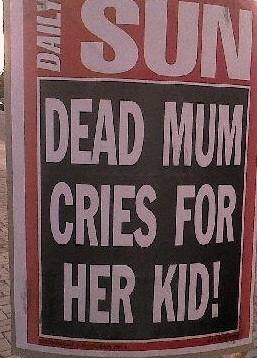 On my way to work I was confronted by a mind boggling poster written “Dead mum cried for her kid!” Man! This displaced my thinking as I battled to conceptualize or make sense of the statement. What do they mean? How is it possible? I thought on. Daily Sun is notoriously known for such mind bending headlines. I got to work and read this cover story of this not so intelligent grand parent who gave away the son of her passed on daughter to a person according to her version of how she knew this somebody I consider this Sara person a stranger. This character vanished with the young boy after promising to keep him for a weekend and now the old lady’s conscience is confronting her every night when she goes to rest using the image of her daughter in the process. We should know by now the thoughts you entertain daytime become your dreams at night. The story they published is not the soul of this writing but the separation between catchy headlines and deliberately misleading head-lies. Yes we understand a publication is a profit orientated entity to pay bills and by all means necessary they have to meet their prime objective. It is no longer about what happened but how it was told; language is manipulated in a manner that will incite the desired objective which is driving turnover. Quality, ethical, and honest journalism is watered down by the bottom line. Any logical man does not expect a corpse to be uttering words in the grave (unless they were buried alive). According to the layout of the story one might agree and say Daily Sun’s claim is justifiable because in how they coined the story indeed on the visions of the old lady her daughter did speak. Who can confirm such a claim? This is ultra-sensationalism on the part of the lady and the editor, the lady needed a heavy case to be taken serious and the publication needed an ear candy to entice the masses so the feeling was mutual. Daily sun is run by the same mind that creates soaps, too emotional and too illogical most of the time. How many times have you read an article and feel like telling the editor you are not a child such that they can sell you a fairy-tale booklet. They might claim to be the number one seller that we cannot dispute, but it is through watering down and manipulation of language that they earned that accolade. You can read that paper cover to cover for a week and not learn a new word it’s that pathetic. 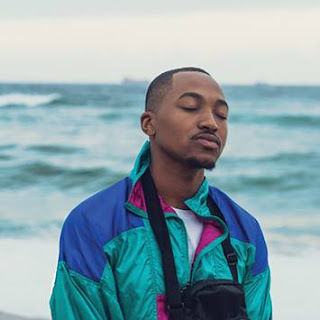 In the world of journalism headlines are an art form like naming your songs is in music they have to capture the essence of your song/article, spark interest and direct your audiences thinking. After reading your article one must feel your headline is justified and not still wonder and fail to connect it with your story after reading it numerous times. It should not be an exaggeration at the same time remember journalists have power over the masses and to whom power is given great responsibility is expected. They can spark wars, end wars, assassinate ones character, uplift a community and I can list endless what’s most is how one uses the platform afforded by the different medium. Tabloid journo and editors are void of such they just report carelessly and most of the time stories are not backed by facts. They accuse you on the cover page and apologise on the page five. Next time readers pick up a tabloid, next time you are excited by a fishy head-lie do so on your own risk at least read with a discerning mind. To the Sub-Editor do your craft well don’t mislead. Story by Yahkeem Ben Israel /Leave your comment for me below the comment box or click on the “contact us” page tab to see my profile.